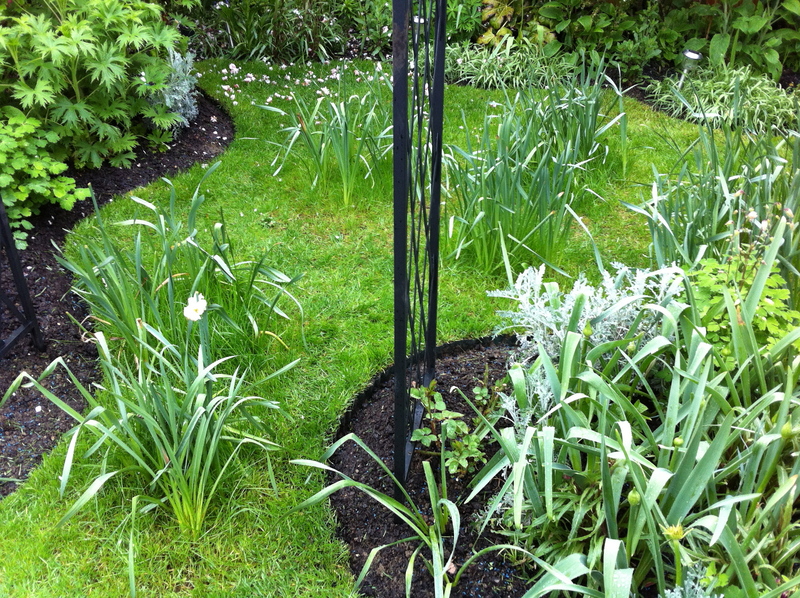 I spent a lot of time in February and March defining and properly edging the lawn to set the borders for this year. So a few days ago, when I finished mowing the grass, I still wasn’t quite satisfied with the way the edges looked – they were still scruffy. Now call me obsessive-compulsive, but it only took a few hours to around all the border edges with a pair of kitchen scissors, trimming the grass to give a real sharp edge to the lawn. I think it looks very neat and perhaps the time was well spent if you’re opening for NGS or expecting a visit from the RHS, but perhaps not when it’s cold, wet, muddy and getting dark (as it was in my case).